Hi! I’m glad you stopped by for World Card Making Day! I’m off teaching a class today but wanted to share in the 2012 card-making event. 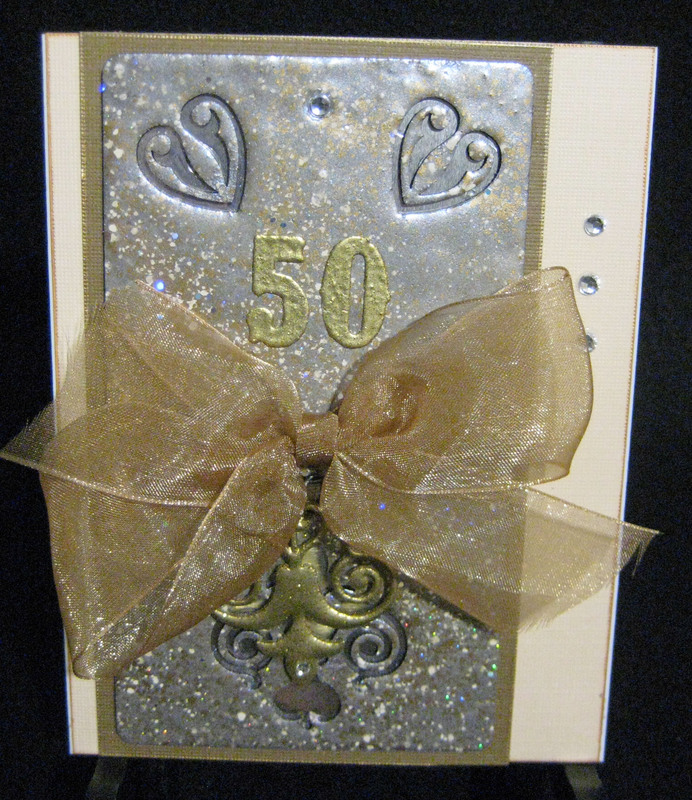 This 50th anniversary card is created using Globecraft Memories Piccolo Enamel Powders as well as Piccolo Card Decor Set No. 2. I used Mermaid Tears Enamel Powder on the large Piccolo background and 24K Gold Enamel Powder on the 50 and the little dangle below the ribbon. After heat setting I mounted the Piccolo piece to a tan cardstock and then to a white card. Added a pretty ribbon and some crystal gems. Enjoy your day – and have fun making some cards!